I'm having a hard time wrapping my brain around this, but it's coming up on graduation season. My brother's graduation date is less than 8 weeks away, which (in my crazy brain) means I need to start thinking about what to wear. I'm grateful to not be the center of attention this time around, but I do want to make sure I look nice. 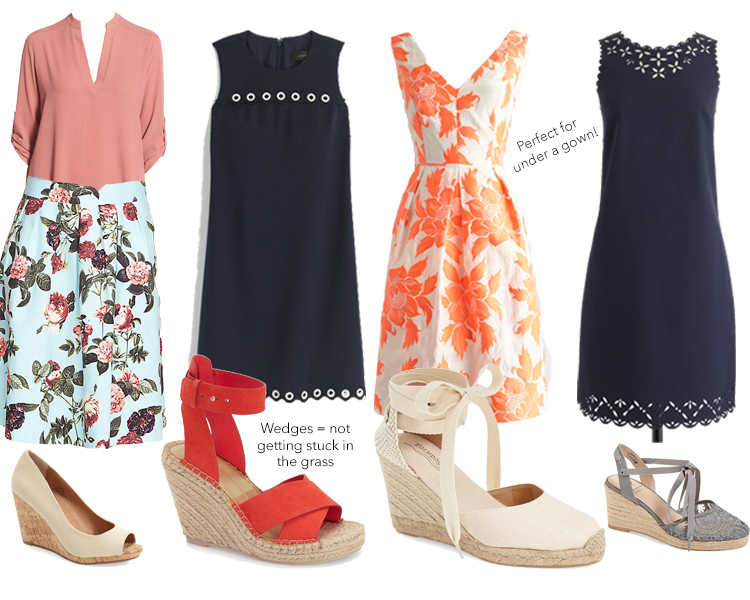 In general, my rules for formal-ish occasions during the summer are breathable fabrics, limited accessories (I tend to pick more intricate dresses instead) and wedges. Below are some of my favorites!